От бытия к инобытию: фольклор и погребальный ритуал в традиционных культурах Сибири и Америки: сборник статей. Санкт-Петербург: МАЭ РАН: Кунсткамера, 2010. C. 7-49. I have already introduced the readers of this blog to the prodigious work of the Russian scholar, Yuri Berezkin, on cataloging mythological motifs from around the globe and analyzing their patterns of geographic distribution in light of the mainstream out-of-Africa model of modern human dispersals. By analogy with Johanna Nichols’s “population linguistics,” Berezkin’s approach to mythology can be called “population folkloristics.” Importantly, Berezkin collects and maps only those folkloric motifs that are wide-spread and recognizable enough to potentially shed light on modern human dispersals and the origin of American Indians. Most of Berezkin’s macropopulational interpretations of folkloric distributions are unfounded and frivolous because the underlying data that he cherry-picks from population genetics, archaeology and paleobiology is messy and inconclusive and because the nature of cultural transmission of folkloric motifs has not been clarified. But the database that he amassed (available in Russian here) and the geographical regularities that he identified are invaluable. Contrary to Berezkin’s beliefs, comparative mythology provides an important piece of evidence in favor of the out-of-America model of human dispersals and its geographic patterning is broadly similar to the one observed in linguistics and kinship studies. Berezkin is a prolific writer who regularly publishes populational interpretations of individual motifs and small motif clusters in various Russian ethnological journals and volumes. The paper under discussion came out on the heels of the 2008 Dene-Yeniseian Symposium in Fairbanks, Alaska in which Edward Vajda’s proposal of the genetic relationship between Na-Dene and Yeniseian languages was discussed and endorsed by a team of linguists. At the symposium, Berezkin presented another paper, “Selecting Separate Episodes of the Peopling of the New World: Beringian-Subarctic-Eastern North American Folkloric Links” in which he argued that, despite the linguistic link, Na-Dene and Kets do not share any particular folkloric motifs. Berezkin notes the “stunning diversity of New World mythologies” but then instantly walks away from this critical finding to declare that the “New World was a recipient of both Continental Eurasian and Indo-Pacific traditions.” In another Russian paper, “Nanaj Folklore and the Homeland of American Indians” (2011) Berezkin notes the contradiction between population genetic and folkloristic evidence: while genetically Amerindians are homogeneous, their mythological motifs show “diverse links with many Asian motifs” (I would add “and Oceanic, and West Eurasian and African,” as Berezkin’s own work documents.) 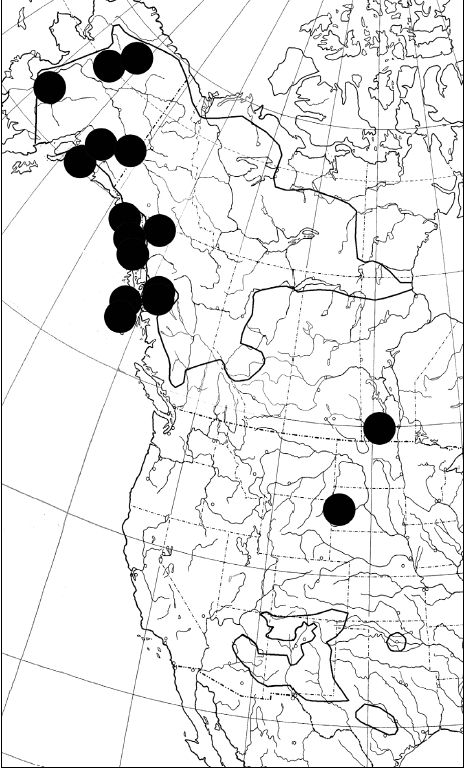 This observation makes Berezkin question the popular “Beringian Standstill” model for the peopling of the Americas because it’s unlikely that the Continental Eurasian and Indo-Pacific clusters would have preserved their distinctiveness after thousands of years of intermingling that such a refugium would have of necessity created. He envisions more of a continuous streaming of populations first from Far East Siberia (that’s where the parallels between Amerindian and Siberian motifs are apparently the strongest) and then from all over Siberia. As these populations relocated to the New World, they were replaced by populations migrating to Siberia from further down south. It remains unclear how this massive, systematic and wholesale sharing was possible considering Berezkin’s belief in the late (15,000 YBP at the maximum) dates for the peopling of the Americas compared with the 40-50,000 YBP timeframe for the initial peopling of the Sahul and the onset of geographic isolation of Papuans and Australian aborigines), the poor accessibility of the New World to Old World populations, the paucity of genetic evidence for multiple migrations to the New World and the reduced genetic diversity in the New World suggestive of a small original pool of Asian migrants and, finally, the existence of specific genetic signatures among New World populations not found in Siberia or in the Old World. 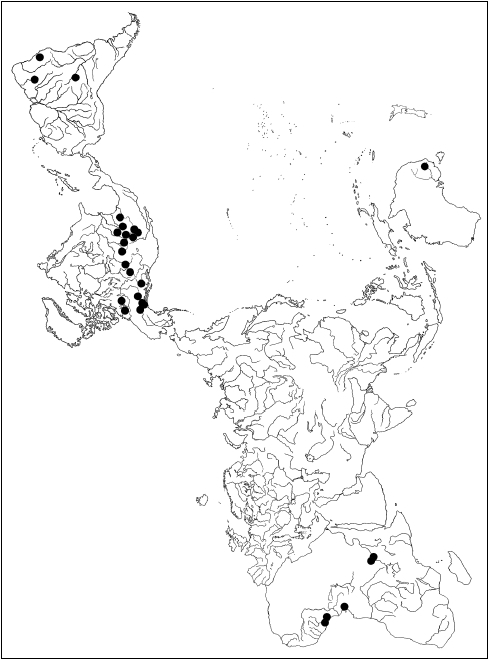 All existing models of the peopling of the Americas can explain one or two of the unique patterns of variation in the New World, but only out-of-America provides a good explanation for the whole picture. Berezkin (2010) focuses on the origins of Na-Dene and only on the motifs explaining the origin of death. Death origin myths form a dozen of distinct motifs possessing clear geographic patterning worldwide (see here). Most of them are found in Sub-Saharan Africa and Berezkin considers them part of the original motif repertoire of behaviorally modern humans. The motif of spilled elixir of immortality, the motif of jealous animals and the images of domesticated animals (dogs, goats, sheep) responsible for the loss of immortality are likely of recent Asian origin. In sharp contrast to generally low motif diversity in Africa, Africa is very rich in death origin motifs and in this it is rivaled only by eastern South America. Remarkably, outside of Africa, death origin motifs are mostly concentrated in the Indo-Pacific region and in the New World, while Continental Eurasia has much fewer of those. Pacific Northwest, the area generally believed to be homeland to Na-Dene Indians, is also rich in death origin motifs. Berezkin uses the universal frame of reference implied in death origin motifs to assess what myths can tell us about the origin of Na-Dene. Berezkin noticed that there are two death origin motifs in America that are polar logical opposites of each other. In one, “Strong and Weak,” the Creator makes humans first out of stone. They are immortal but unwieldy for the earth. He then remakes them out of wood, they become light but mortal at the same time. In the other one, “Stone Sinks, Wood Floats,” protagonists argue whether humans should die or live forever. They place bets on a stone vs. a piece of wood. When it turns out that a stone sinks in the water, while a piece of wood floats, humans are declared mortal. Variations in these two basic themes abound and the geographical clustering is very different. The Strong-and-Weak motif is found among Ingalik, Koyukon, Athna, Taltan, Upper Tanana and Tlingits (among Na-Dene) as well as in Tsimshian, Haida and Chugach who presumably borrowed it from Na-Dene. Southern Athabascans lack this motif which Berezkin attributes to Pueblo influence. But, surprisingly enough, the motif is found among Cheyennes and Plains Ojibwa (see map below). The Stone Sinks, Wood Floats motif is more pervasive. It’s found among Tagish, Hare, Kaska, Dogrib, Carrier, Apache and Navajo (all – Athabascans) and Blackfoot, Grosventres, Arapaho, Cheyennes (all – Algonquin) and Comanche (Uto-Aztecan). Unlike the Strong and Weak motif, this other one is found in Northern and Southern Athabascans and is more completely represented among Plains Algonquins. Berezkin considers both of them ancient Na-Dene and Athabascan motifs. Both of them are relatively rare in North America but are attested in Africa, South America, Southeast Asia, Oceania and the Sahul. Strong and Weak is weakly attested in western Siberia, and Stone Sinks, Wood Floats is completely unknown in Continental Eurasia (see below). The global distribution of the Stone Sinks, Wood Floats death origin motif. The lack of Siberian affinities for Na-Dene death origin myths (and the presence of those affinities with South America and the Indo-Pacific region) is a very intriguing finding, which speaks to the relic nature of the Na-Dene population. (Importantly, Na-Dene show high frequencies of Y-DNA C3b lineage, which comes off of hg C which is one of the most ancient non-African haplogroups. Y-DNA hg C3b is also very rare in North America, just like the two death origin motifs under discussion, but then “reappears” in northwest South America again as hg C*). In his Dene-Yeniseian Symposium paper, Berezkin associated Na-Dene with the last, fourth (in his model) wave of the colonization of the New World. In the Russian paper, he argues that “the mythology of historic Athabascans did not come from Siberia” (p. 44). He is leaning more toward a long chronology for Na-Dene origins tying it to Dyuktai and Denali cultures of the terminal Pleistocene (which is a pure speculation) and, linguistically, to the Dene-Caucasian macrophylum in which the separation of the Na-Dene cluster is independent of (and likely predates) the separation of the Yeniseian cluster.